This product is the dried leaf extract of Ginkgo biloba. 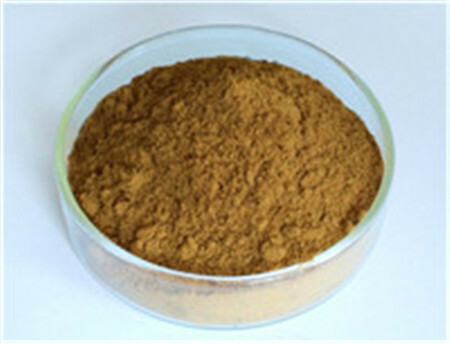 It is a light yellow-brown flowable powder with bitter taste. It has the effect of activating blood circulation, removing blood stasis and dredging collaterals. Ginkgo leaf extract is a kind of product which is extracted with appropriate solvent and enriched with active ingredients. A variety of preparations made from GBE are widely used in the fields of medicine, health care products, food additives, functional beverages and cosmetics. This product is one of the most successful cases of plant medicine (traditional Chinese medicine) developed by modern science and technology. The medicinal value and application of ginkgo biloba extract are very extensive. Applied in nutritional supplements and food ,for direct use or use after processing into various kinds of dosage form(granule, tablet ,capsule), or use after mixing with other ingredients or use after processing into various kinds of dosage form with other ingredients.